THIS LIMITED EDITON HAS BEEN SOLD OUT! 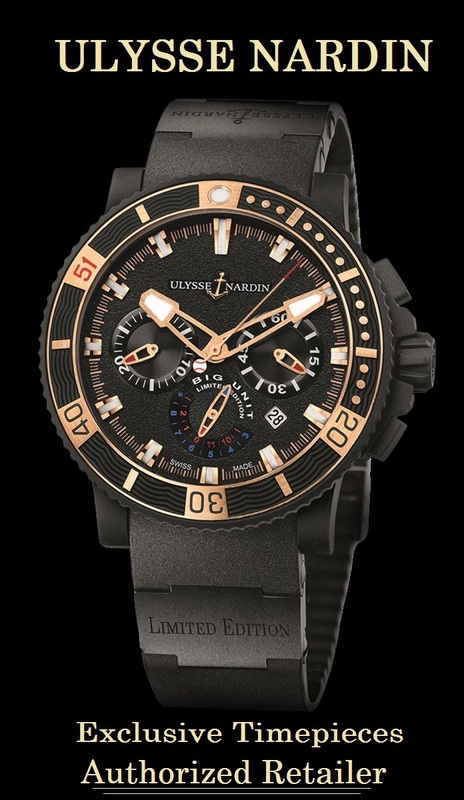 Ulysse Nardin presented the Randy Johnson “BIG UNIT” limited edition of only 100 pieces in honor of one the greatest major league pitchers of all time, future Hall of Fame, World Series Champion, 5 time Cy Young Award winner, Randy Johnson. It is a 45.8mm stainless steel case chronograph with high tech vulcanized rubber coating, with rose gold tone accents,on a rubber strap with folding buckle. The watch comes in a special white leather presentation case with red stitching. 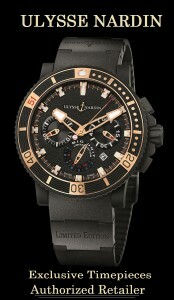 A baseball autographed by Randy Johnson is also included with each watch. CLICK IMAGE TO ENLARGE.